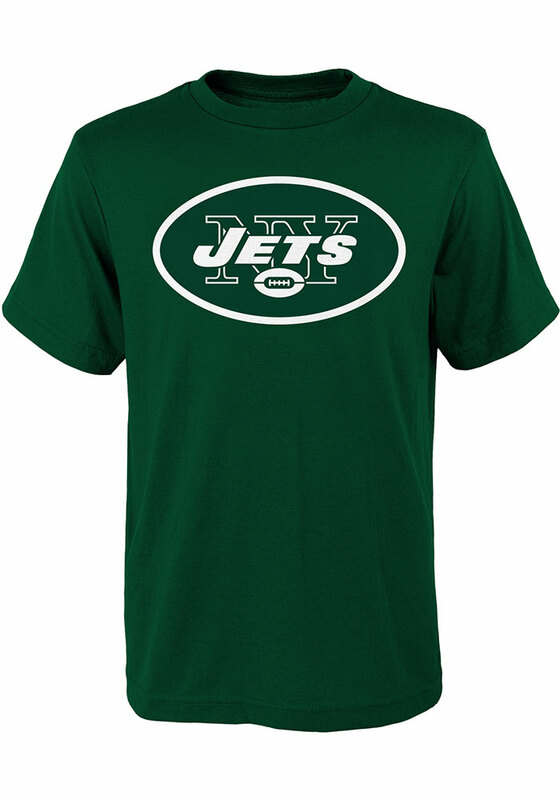 Your future New York Jets will be ready for the game with this New York Jets Youth Green Short Sleeve Tee. This Primary Logo T-Shirt features a screen print team logo on center chest. I bought this one for my son and he wears it pretty often. He is pretty rough and its held up to him and my soon-to-be replaced washer/ dryer. The pic doesn't do it justice, the color and quality are better.